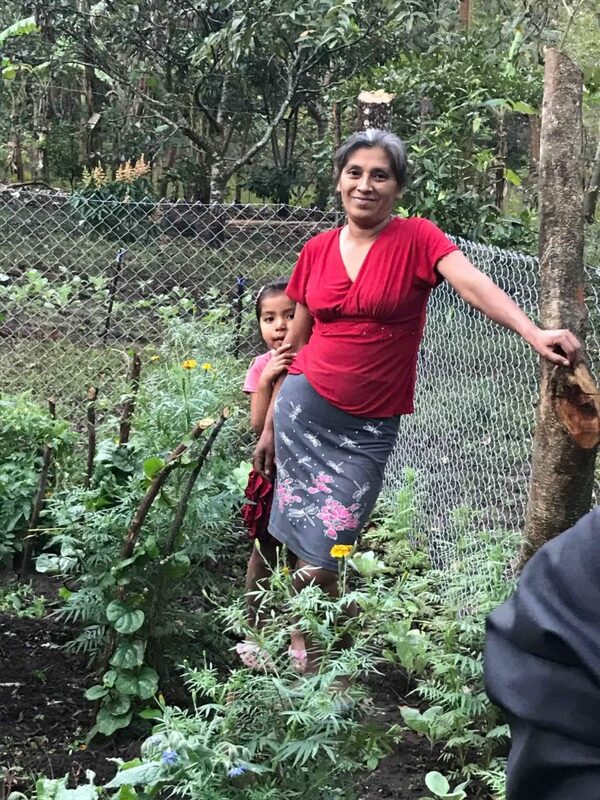 Artists for Soup works with low-income Nicaraguans to create biointensive gardens in schools and homes, cultivating more than 150 garden beds and directly impacting 500+ people’s access to nutritious food annually. 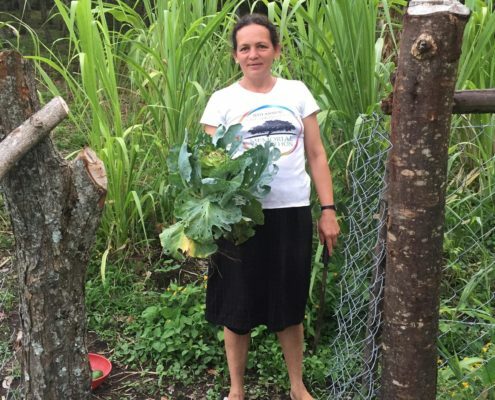 The biointensive method of organic small-scale agriculture combines innovation with tradition, growing the maximum amount of produce in a small space. 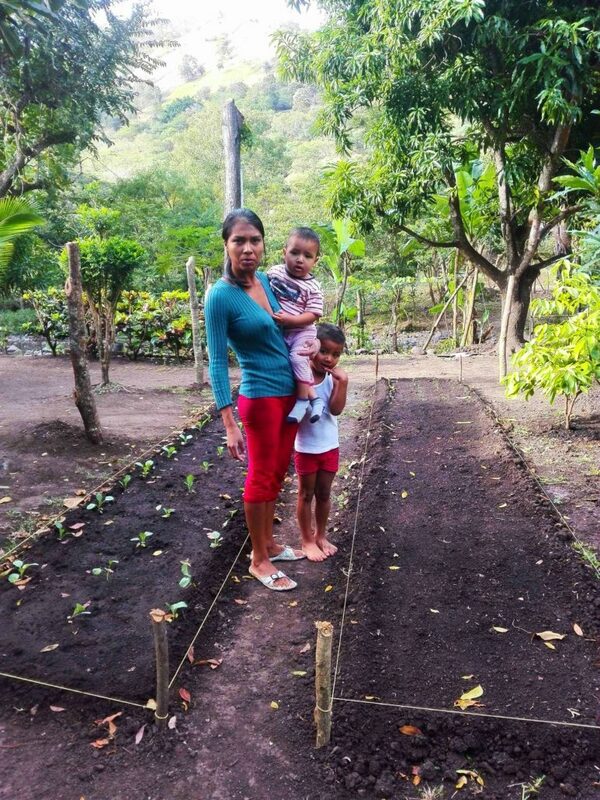 In the indigenous community of Corozo, we work with families year-round using science-based education to improve food security in a sustainable manner. Biointensive gardening involves carbon sequestration, maintains soil fertility in the tropics, attracts pollinators, and pairs complementary crops. We begin by digging 24” deep to aerate the soil which allows roots to grow farther and absorb more nutrients. Deeper root networks allow plants to grow closely together. Once biointensive beds are dug they do not need to be tilled again. 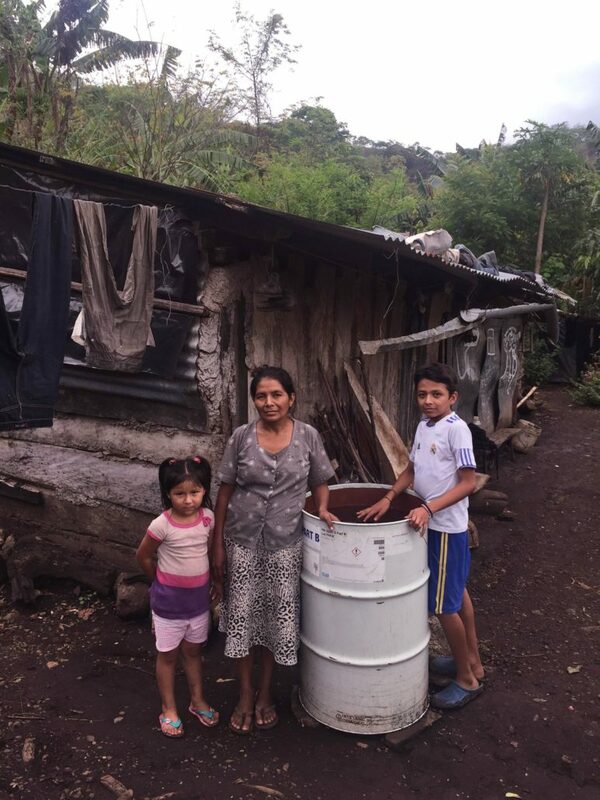 After successful excavation, Artists for Soup delivers fencing materials, organic fertilizer, compost, organic insecticide, a water barrel, gardening tools, and seeds to families in our program. 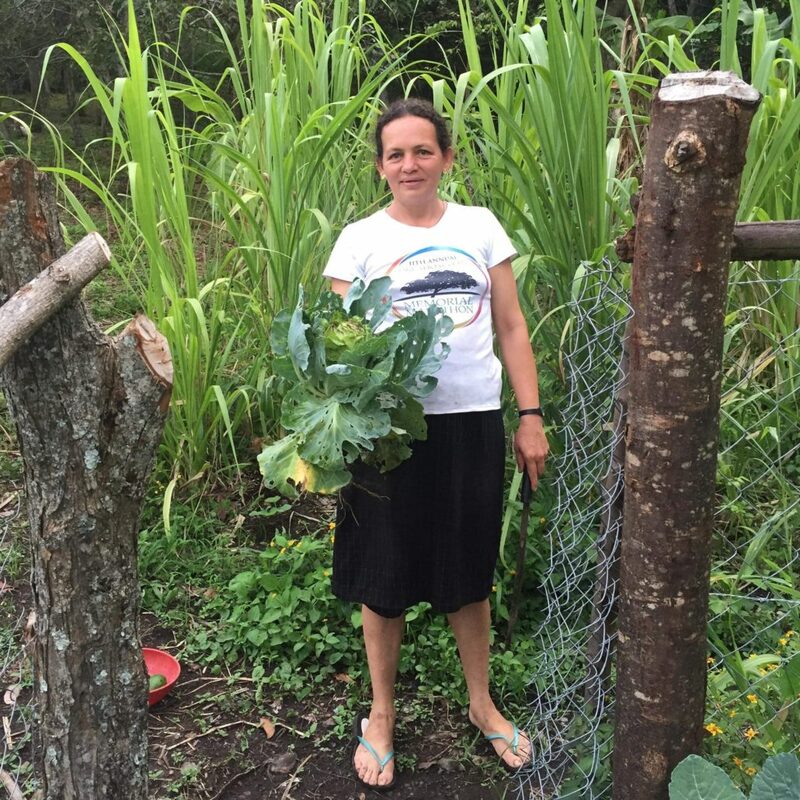 Throughout the year, our Programs Director teaches the family about maintaining a biointensive garden and checks on them regularly to help deal with garden issues. 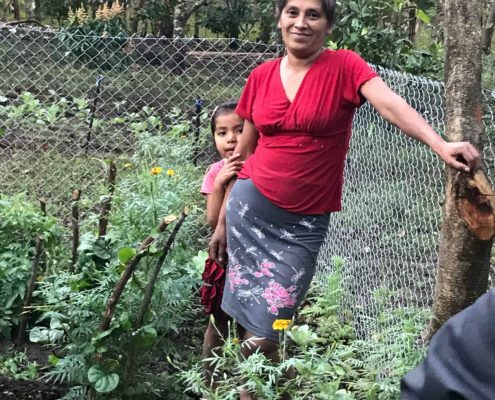 Gardens are typically 30 square meters, but can increase according to a family’s desires and the availability of water and land. 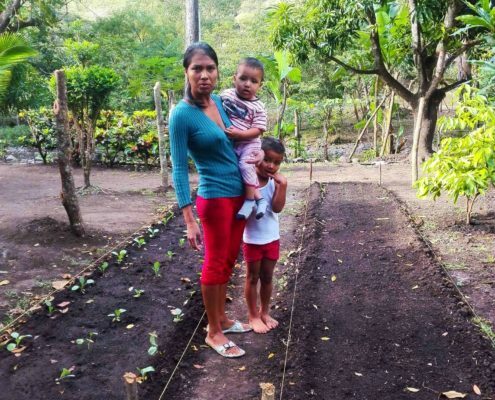 Families grow a wide range of produce, including but not limited to: peppers, tomatoes, sweet potatoes, onions, cucumbers, carrots, cabbage, and spinach. 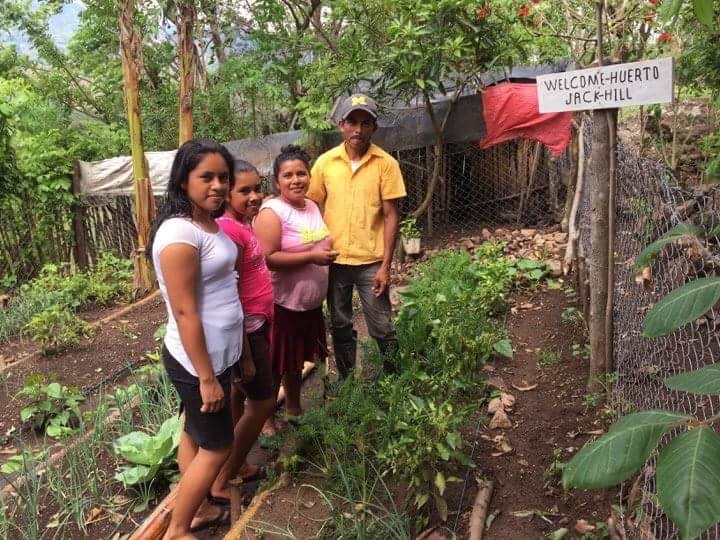 These vegetables, in addition to fruit grown in our reforestation projects, significantly improve the variety of food available to families in our program. 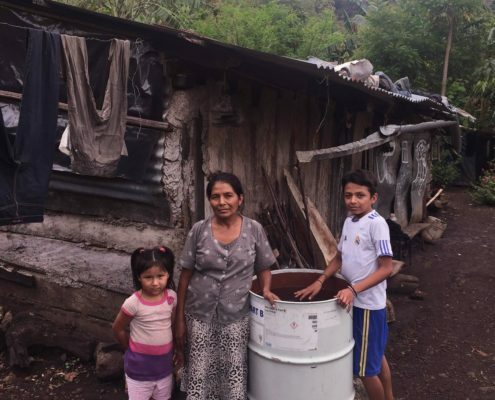 Without gardens, the typical diet of the families we work with consists of beans, rice, and tortillas.